There were Gator fans…There were Seminole fans…There were Hurricane fans…Each set of fans was adamantly convinced that their team was the best. While this division was profoundly seen in the fall during football season, it seemed to expand beyond collegiate athletics. 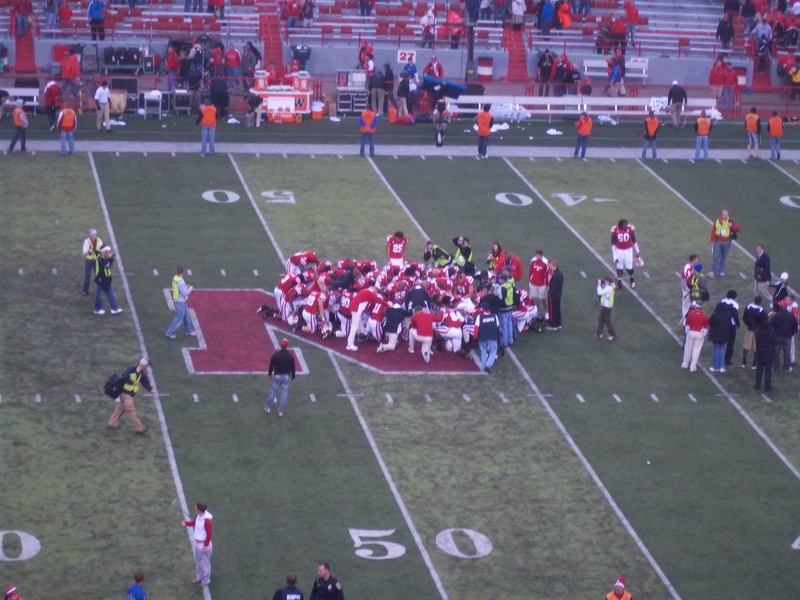 For this reason, I have spent the last 14 and a half years being amazed at the unity found in the state of Nebraska. 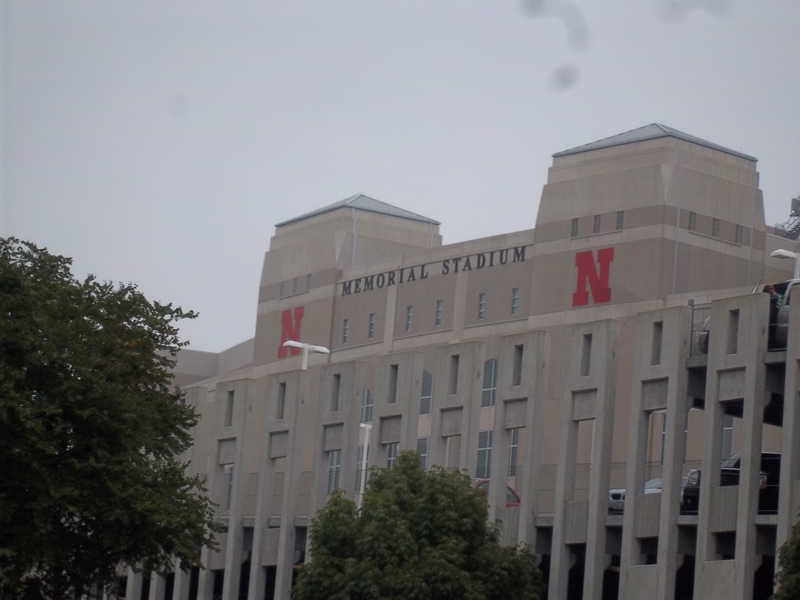 EVERYONE in the state of Nebraska is a Husker fan, and “game day” at Memorial stadium is a testament to the bond that all Nebraskans share. 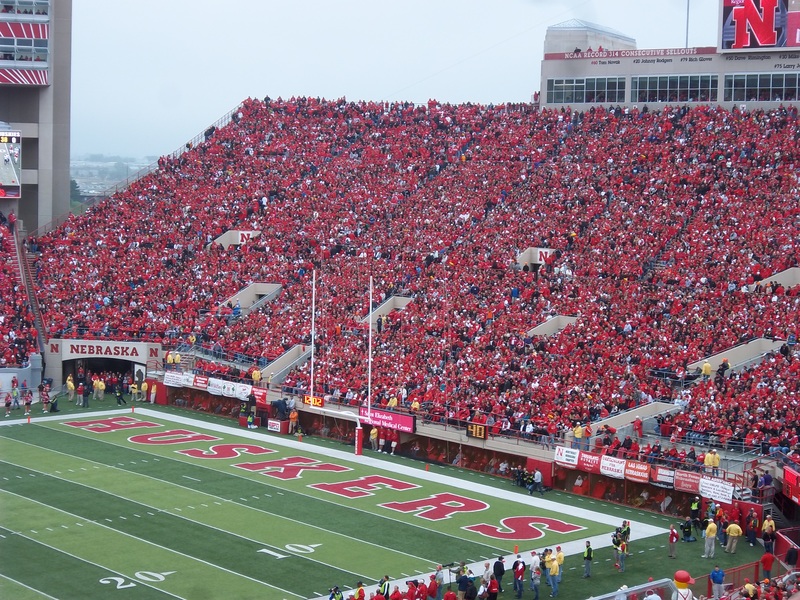 It is demonstrated in the “sea of red” that fills the stadium. 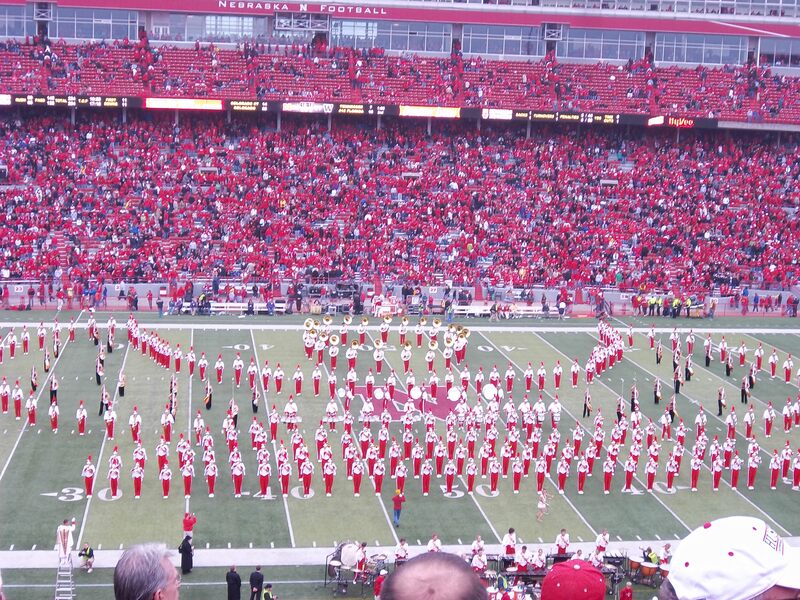 Red is the preferred color of all Nebraskans! It is demonstrated by the comraderie felt amongst fans. It is demonstrated by the love and support shown to all of the youth. While it may seem odd to some that an entire state population (1,711,263 strong) all rally around one college football team, I believe that this unification, manifested in Memorial Stadium on game day, extends to a feeling of community that permeates everyday life in the state. 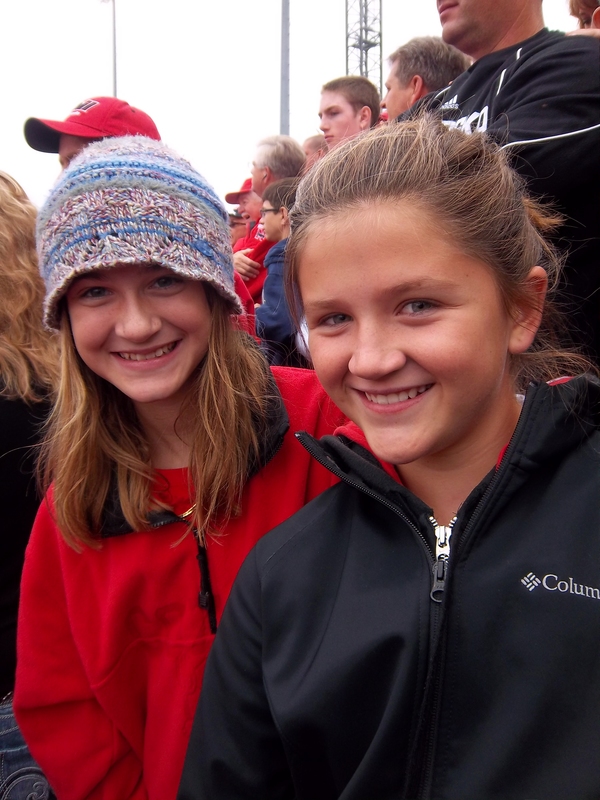 Learning to be "part of Nebraska's team" while cheering on "the team"! My desire to live in rural America, combined with an adventurous spirit and a cute farm boy, led me to Nebraska. 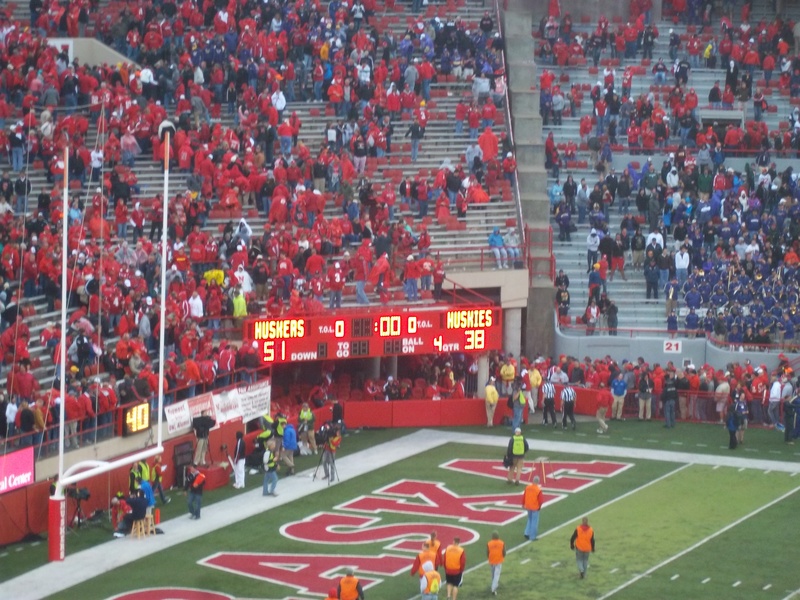 The unity, shared respect, and “neighborly” attitude of the citizens of Nebraska will keep me here the rest of my days. 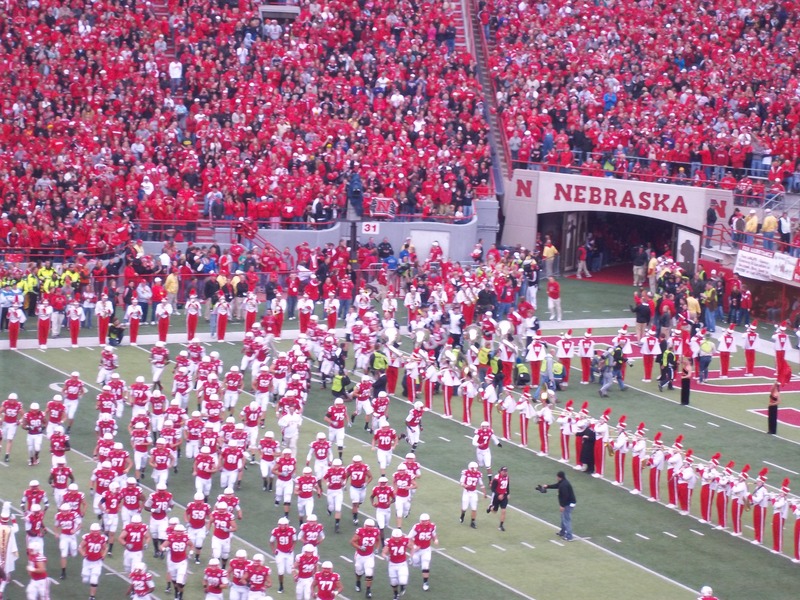 Very simply: In Nebraska there is no me, there is us. That is an incredibly powerful mindset, and one that allows our state to continue to move forward and thrive. 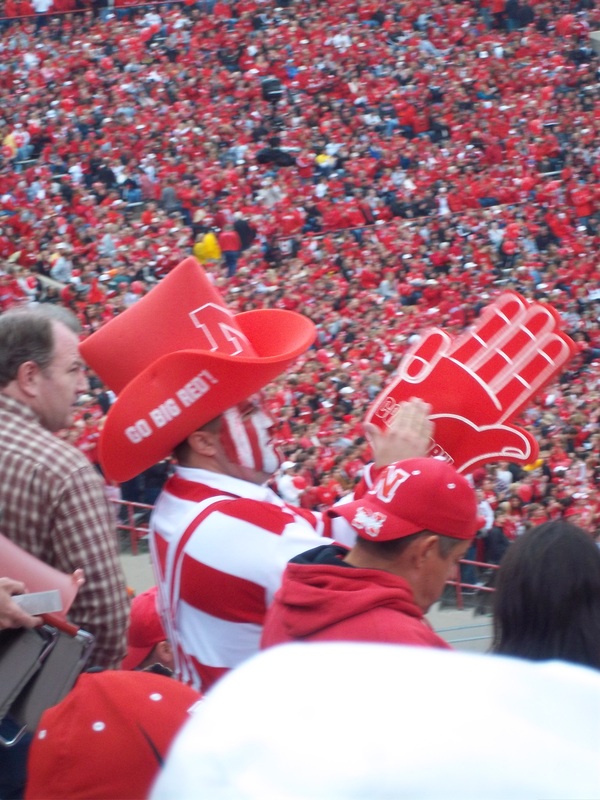 It manifests itself on Husker Game Day, but it is really much deeper than that. It can be seen in our unique unicameral state legislature…It can be seen on Nebraska’s rural high ways where it is common practice for everyone to wave (even complete strangers)…It can be seen in the way that communities help one another when Mother Nature strikes…It can be seen at frequent local benefit suppers held to help a family or individual that needs a boost…It is a beautiful thing, and makes me proud to be called a Nebraskan. The honoring of our country with the entire crowd singing the National Anthem, along with multiple tributes all throughout the game to individual Nebraska soldiers who represent and defend our great nation. 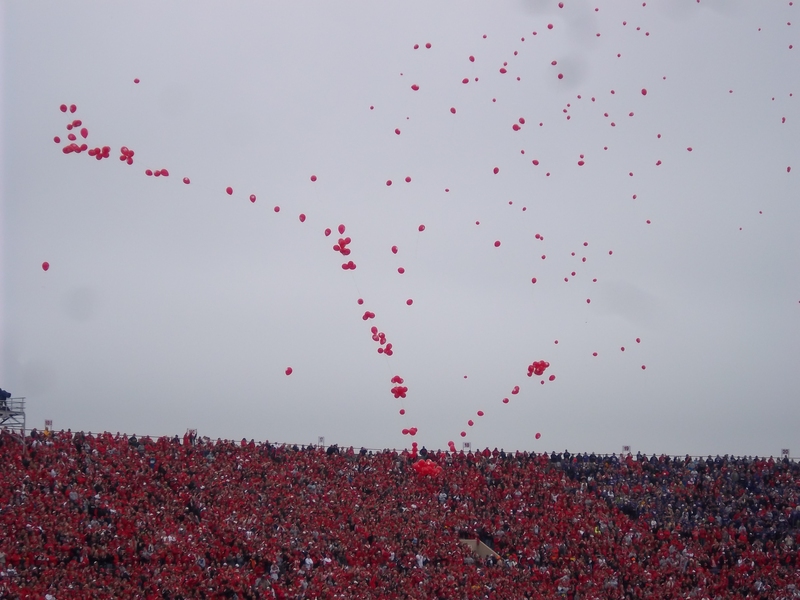 The tradition of releasing red ballons as the Huskers make their first exciting touch down!